Whatever the occasion - tournament, wedding, party, or business gathering - we provide support and assistance throughout the planning process to assure a successful, memorable event for you and your guests. Our main facility, with its fantastic views of an extraordinary golf course, along with the Apple Hill orchards and snowcapped Sierras, provides a very special flair you won't see anywhere else. We can comfortably seat up to 100 in our dining room, with an additional 20-30 (weather permitting) on our gorgeous outside patio. And we welcome the opportunity to customize any event package, catering to your specific needs and desires, to create the perfect occasion you and your guests will not soon forget. For more info on booking your event, please contact us at (530) 647-7408 or send us an email. Apple Mountain Golf Resort has an experienced staff on hand ready to ensure your small, large, charity, or corporate golf outing is a sure fire success. Tee Time Start tournament packages are available for up to 80 players at $45 per player Mon-Thur, $55 Friday, and $65 Sat-Sun. 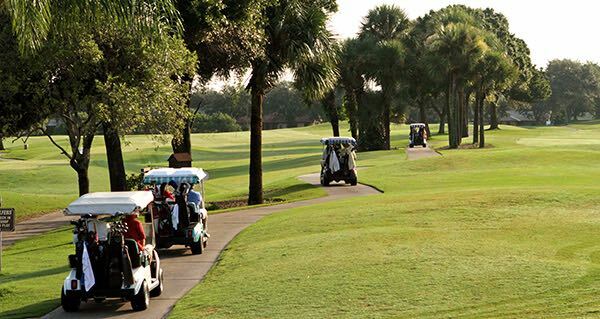 For shotgun starts or more than 80 players please call for rates. Tournament Buffets - The Apple Mountain Grille offers up a variety of buffet and barbeque menus including breakfast, lunch, and dinner faire. 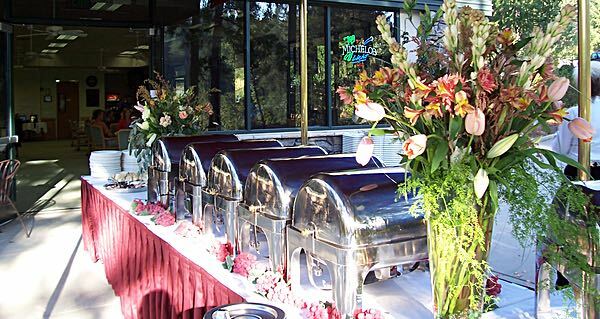 There is simply no better way to start out or cap off your event than with a delicious meal from Apple Mountain. Tee Prizes - Let us help you with all of your tee prize needs. Popular ideas include, but are not limited to Shirts, Balls, Towels, Divot tools, and Shoes. Most items can be embroidered or printed with your organization's name. To Get the Ball Rolling… send an email or call us at (530) 647-7400 and our attentive staff will get to work on making your next tournament an event to remember!